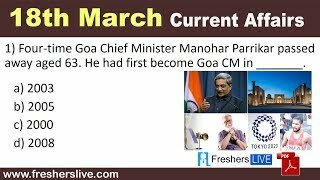 Parrikar had first become Goa CM in 2000 and had also served as Defence Minister of India from 2014 to 2017. Mr. Parrikar was the first Indian Institute of Technology alumnus (of IIT, Bombay) to serve as Chief Minister of Goa in 2000. He became Chief Minister for four terms, but, ironically, could not complete a single full term in office. He was born on December 13, 1955 in a middle-class family and began his political career as a Rashtriya Swayamsevak Sangh (RSS) pracharak (worker).